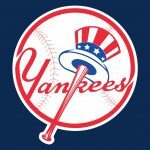 PMG’s own Jamie Stanco has a current article in NY Sports Day entitled “Yankees Preview: Character Assassination”. And though he swears it isn’t an indictment of Brian Cashman, baseball and sports fans should judge for themselves, no? Here’s a sampling of the article. This isn’t really a character assassination. I like Brian Cashman, but due to his oversight the Bronx Bombers have been reduced to a litany of news items, mostly about a 39-year old former star third baseman and his struggles to prove worthy of the remaining $60 million on the worst contract in baseball history. Brian Cashman has character, but isn’t much of a “character,” certainly not in the fashion of the Sparky Lyles, Bobby Valentines, or Bob Ueckers. Or for you true MLB historians, the Lefty Gomezes, Jimmy Piersalls and Joe Pepitones. But he has been entrusted with the rudder of arguably the greatest sports franchise of all…and has run the once glorious Yankee ship perilously close to a reef. Unless a tidal wave frees them from their beached position, Yankees will not challenge in September for what could be a lot of years…and the team’s character, if not its persona, will be similarly challenged.